Provide your kids with a safe, healthy and super fun setting with Rovo Kids Wooden Cubby Houses, an exclusive online offering by Mytopia. Available in different designs, shapes and sizes, these are easily a great addition to any garden, playground or backyard. Suitable for multiple kids to use at once, Rovo Kids Wooden Cubby Houses support an active and healthy lifestyle for Aussie kids and their families. 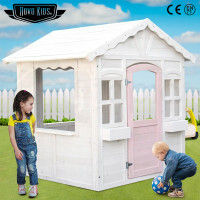 A Rovo Kids Wooden Cubby House offers a stimulating and lively environment where kids can simultaneously learn and play. Parents can also enjoy their free time and have peace of mind knowing that their children are safe, secure and entertained for hours. Through outdoor play, this fun playground accessory can help kids develop their imagination and live their wildest dreams. Children will surely love a Rovo Kids Wooden Cubby House because of its fun and colourful features. Made from top quality treated wood, each comes complete with a door and windows to provide a realistic homey feel. Just like in a real house, a heavy-duty roof guarantees that your kids are always protected from the sun, rain and other harmful elements found outdoors. Rovo Kids Wooden Cubby Houses are ideal tools for child development and social interaction. They come with cool and exciting features which can help boost their confidence by letting them interact with siblings and friends. Give your kids an awesome childhood that they’ll surely remember and cherish for the rest of their lives with Mytopia’s wide range of affordable and heavy-duty Sandpits, Doll Houses, Wooden Train Sets, Toy Kitchens, Ride On Toys and Trampoline. To be sure that you’re happy, all Rovo Kids toy products are backed by a full 12-month warranty. 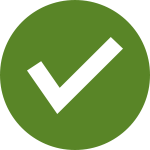 Mytopia ensures you a speedy and easy delivery, whether you're in Sydney or in the Outback. Don’t deprive your kids of an epic and awesome childhood. Fulfill their hearts’ desire and order a Rovo Kids Wooden Cubby House today!